TRIBES IN RAJA AMPAT, PAPUA. Waigeo and surrounding islands inhabited by several tribes or sub-tribes are grouped into indigenous tribes and tribal settlers. Language and culture are two integral elements, which can not be separated from the life of every person. Everyone, inevitably, was born in an environment of a particular language and culture. It is the same condition existing in Raja Ampay. Every tribe in Raja Ampat tends to express their ethnic identity and language in accordance with the names of the ethnic groups. One example, every ethnic group tries to mention the language used by the tribal name, although on the other hand they claim that the language they use is also used in other villages or in other islands. This phenomenon is common. Each tribe has always tries to identify their existence to other groups so that their identity is also recognized and appreciated by other groups. Tribal groups in Raja Ampat also always call their territories according to their own language. 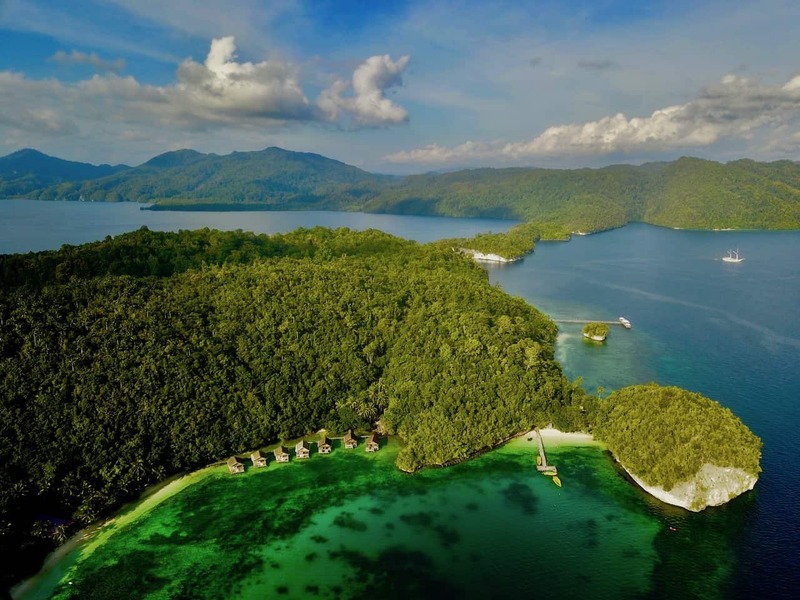 In Raja Ampat was found that a place, be it mountain, headlands, bays, islands and others, have different names depending on the ethnic groups living in the surrounding areas. One example is the naming of the islands in the region Waigeo. The name is written in the map and also used today by society in this region, derived from Biak language. 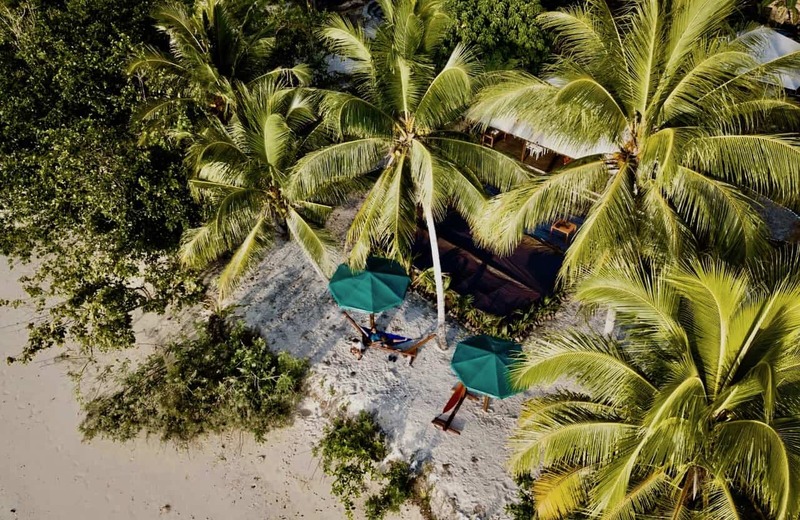 However, the natives as Wawiyai people who have customary rights in the region of South Waigeo, calling the islands with its own name according to their language. 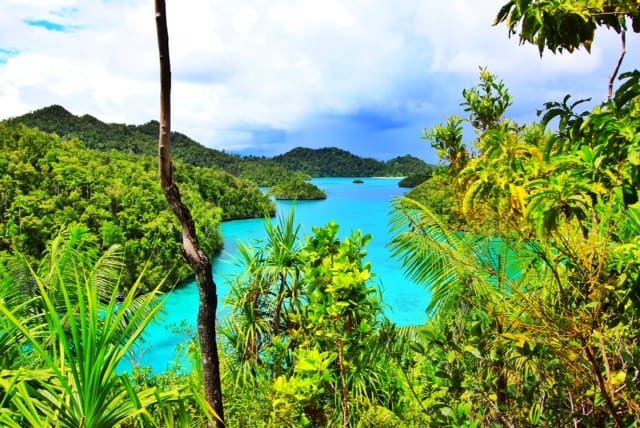 With the geographical conditions, which is an archipelago and the most western part of the circuit island big island of New Guinea, Raja Ampat Islands into areas that are anthropological and linguistic is an area that gets the title of diversity (an area of ​​diversity). This diversity is very precise term used to describe the situation of culture and language is a blend of cultures and native languages ​​Raja Ampat with cultural and language brought by immigrants, both from other regions of Papua and outside Papua. This mix of cultures and languages ​​has happened since centuries ago. 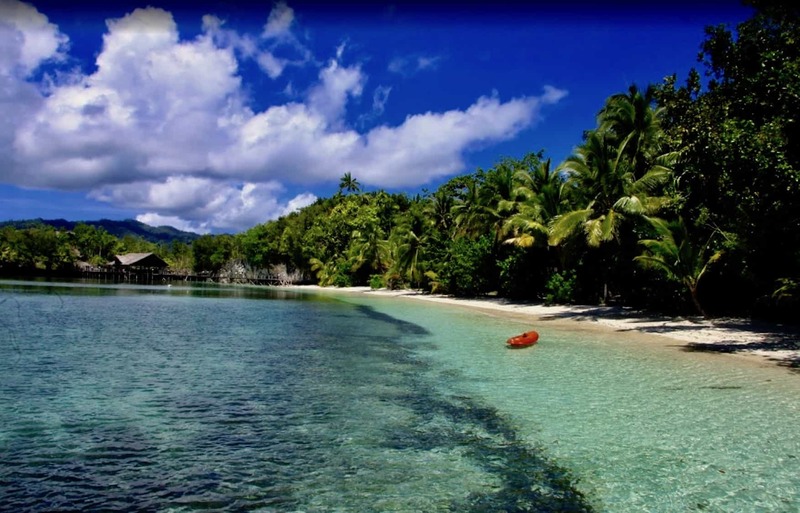 Raja Ampat, is a very popular name for National and International tourists now days. Raja Ampat is so alluring to the extent it is able to steal the attention of many people. Paradise of marine tourism, especially for divers is a nickname for Raja Ampat. 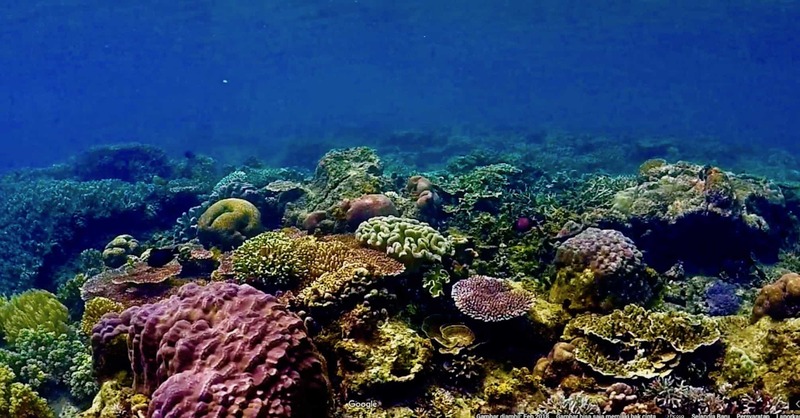 We need to know in addition to the beauty of the natural marine life in Raja Ampat. Raja Ampat has a tradition for generations carried out by tribes living in the Raja Ampat Islands. This tradition can be said a major impact on the aquatic ecosystem in Raja Ampat. Matbat tribes are tribes in Raja Ampat Islands that can be encountered in Kampung Magey, Lenmalas village, Kampung Salafen, Atkari village, Kampung Folley, Tomolol village, Kampung Kapatcool and Kampung Aduwei. Besides Tribe Matbat we also can find other tribes. In Salawati island for example, there are Moi Tribe (Moi-Maya), Fiat Tribe, Tepin Tribe, Waili Tribe, Domu Tribe, and Butlih Tribe. In Waigeo Island there are Laganyan, Waiyai Tribe, Kawe Tribe, Ambel Tribe, Biak Tribe, and other tribes such as the Bugis and Buton. Raja Ampat cultural and arts in the field of handicrafts is significantly diverse. We can recognize the characteristic of native handicrafts of Raja Ampat from the color and motif. Common color used is the mixture of colors with high contrast such as dark red, dark yellow, light green and light blue. Ornaments motif that is often used in sculpture, carving and batik Raja Ampat is a special motif typical of Papua. This hat is made of a woven material. This rounded hat and often used by women to protect the face and body from sunlight during a trip to the beach. Making this hat is originally spearheaded by an old indigenous person from Arborek island. The hat now becomes a typical hat from Raja Ampat and becomes handicrafts from Raja Ampat produced in groups by mothers in Arborek Island. Other crafts are much in demand by tourists who come to Raja Ampat is Batik Papua. In contrast with batik motifs and colors from java that often use natural colors and dark, batik Papua highly desirable because it uses motifs and bright colors typical of the coast. Batik with bright colors is highly recommended to use when you travel on the beach because it will add to the local ethnic element in your holiday photos. Tradition Bakar Batu – One of the oldest cultural traditions in Papua, fuel stones, can be regarded as a symbol of gratitude and fraternity. But in certain areas fuel stones usually performed in a ceremonial procession of death. Tradition Bakar Batu (fuel stones) is a way to use by people in Papua, to cook several types of food (yam, cassava, Pig meat and vegetables) on a rock that has been heated. There is a certain technic and steps to heat the stones such as: setting up a hole to prepare firewood and stones, along with foods that will be cooked. Once the holes are dug, the stones that have been collected are arranged by size. Large stone are placed at the bottom, and at the top will be arranged firewood. The next layer of firewood will be coated again with smaller stones. Then combustion process is carried out to heat the stones. After the stone gets hot, then the food that has been prepared in such a way arranged above the stone. Then after all the foods are cooked, all the participant will eat together as a party or ceremony of something. Tradition of fuel stones has some title or name that is different for each region, but usually known as Barapen. Raja Ampat is famous for its coral islands, one of which is Pianemo. This is where you can see the coral islands with various sizes available in a wide area. The water is clear blue and the scenery is amazing! Communities around Pianemo call it a ‘Small Wayag’. This is because the view from the top of the rocky cliffs, is like a group of islands in Wayag, but in a mini size. 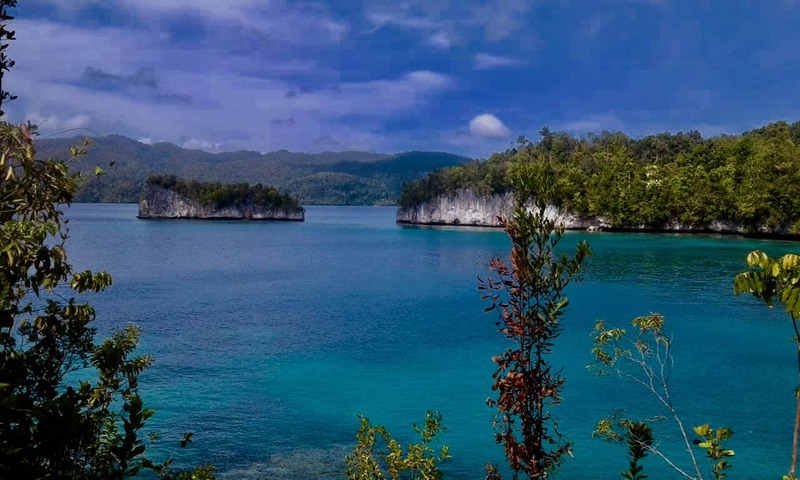 From the capital of Raja Ampat, Waisai, trips to Pianemo can be reached within 2 hours away by speed boat. During the trip to Pianemo, it is like infinite endless blue ocean. Several times we could see silhouette green hilly island, virgin forests, and birds swooping fly doing fish hunt. The hills above cliffs overgrown trees greeted us upon entering Pianemo. Small coral islands here are generally uninhabited. Cliffs that are still alive, continues to grow and the hills are getting higher every year, explained by our local people guide. There are three commonly used pathway hill tracks here. Hill about 15 meters altitude in Tanjung Bintang, Bald Hill which is about 30 meters, and the highest 40 meters. Raja Ampat as part of the province of West Papua on the island of Papua, is rich with variety of cultural arts of music, dance and crafts, typical of Papua that are very exotic. Each tribe scattered in the Raja Ampat islands generally have a dance and tradition practices by themselves. General characteristics of the dance and music of Raja Ampat is a dance movement that generally shown with a vibrant and accompanied by percussion instruments typical Papua named Tifa, gong (mambokon) and drums (bakulu). In addition to percussion instruments, stringed instruments such as guitars and wind instruments such as flutes and wind instruments of sea shells are also often used to accompany the dance. Some examples of dances that are often displayed in various ceremonies and reception are the Wor dance, Main Moun, Batpo Dance, dance and art Flute Tambour Yako.